Az első 3 fajról már láthattatok képeket a fajok szekcióban, de a többiről még nem. 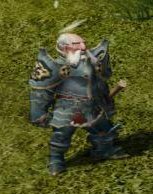 Ha követitek a blogot és elolvastatok mindent, tudhatjátok, hogy az egyik ember találkozott törpe (dwarves) npc-vel (számszerint 2-vel). Na róluk itt van 2 kép (ezek NEM a játszható karakterek, ezek csak npc-k, de _valószínűleg_ így fog kinézni a játszható faj is, vagy legalábbis hasonlóan). Most pedig az alap skillek jönnek, angolul. Fight symbolizes Kyrios, god of destruction. Kyrios concedes victory to those who have faith in him, but is cruel and destructive to enemies. You can use destructive attack skills in a rage to various surrounding enemies at the same time and your attack speed can be temporarily increased to a great extent through haste. Gareugi land – damages surrounding enemies and lowers their running speed by 50% for 3 seconds. Light of her hands – increases attack speed by 33% for 15 seconds. Adamant symbolizes Shatigon, god of wealth. Shatigon has the power to bring wealth and creates impregnable fortress, so strong that even you can get locked up. You can use skills to increase your health and defense or temporarily become invincible, and sometimes protect your mates by switching the surrounding enemy’s aggro to yourself. Shield hit – hits an enemy with a shield and interrupts casting. Look At Me – 75% chance to taunt an enemy for 5 seconds. Death symbolizes Nui, goddess of death. Nui governs the underworld and through her hands helps everyone to rest in peace. You can use the power of the dead to give powerful magic damage to enemies and make them tremble for fear. You can also freely go to death and come back to life by making your soul leave and come back to the body. Invisible hand – decreases enemy’s cast speed, attack and running speed. The spell is interrupted if the caster moves. Hell of a window – damages enemies in a 5 meter radius. Roots for one second, ignoring armor. All Hush – Silences enemies around the caster for 9 seconds. Feign Death – not sure how this works yet. Magic represents Aranzeb, the mage who hides rage and sorrow behind his calm face, and has tried to confront an enormous fate. You can use powerful and traditional magic spells such as flare, meteor, and shield. You will have very balanced skills. Ice Arrow – damages an enemy and lowers their walking/running speed. Shooting star – meteor skill which stuns an area for 6 seconds. Romance symbolizes Lucius, the wanderer who has greatest wisdom, but always hides it in his jokes. You can support your mates by singing and playing instruments. You will be needed in combat to increase moving and recovering speeds. Illusion symbolizes Dahuta, goddess of sea and change. Dahuta grants you wishes, but the truth lies beyond, just like a sweet dream. 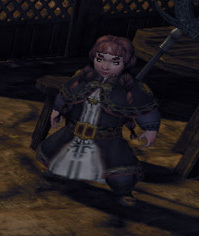 Instead of giving direct magic damage to enemies, you can disturb or block their attack with weakening skills such as fear, sleep, float, and tie. You can also summon evil spirits. Mental fracture – damages an enemy and lowers their vigor for 5 seconds. Vertigo – lowers running speed and attack speed of an opponent by 50% for 9 seconds. Will symbolizes Sal, god of portal and sealing. Sal creates portals which open close up so firmly that even legends cannot exist. He controls vitality on his own free will. You can use vitality to give powerful magic damage to surrounding enemies or protect mates from magic damage. You can also seal the opponent’s skills or create portals to teleport. Teleportation – teleports the caster (and party members?) 20 meters ahead. Roar Magic – AoE DOT (damage over time) skill. Wild represents Tahyan, the warrior of the meadow who tried to defend the alliance with honesty. You can chase and kill your target through ranged attacks. You can also tame wild beasts. Survival Instinct – increases running speed for 23 seconds and makes the caster immune to fear effect. Constantly consumes manna and hp. Arrows rain – AoE skill which damages the area for 6 seconds. Vocation represents the assassin who gave up life for one single vocation, and symbolizes assassination. You can also dash in a breath and attack enemies at long distance. The skills will be very effective in player versus player combat. Quick moves – increases movement speed, dodge (speed*2, dodge *2) and gives an immunity to poison for 15 seconds. Love represents the bystander who controls the eons of time and symbolizes Cyprusa, gatekeeper of dreamworld. You can resurrect your surrounding mates or allies, and restore their health by healing. You have the ability to increase the viability of your mates through healing and resurrection. Nightfall – covers allies in darkness making them invisible to the enemies. HM Érdekes:) és megint csak az jut eszembe EU terjesztő. De ha megfigyeled, itt ezen a blogon is csak kb. 5-7 ember írogat. Egyszerűen még nem jutott el idáig a játék. Várjuk ki a végét. Sokszor hallottam már, de nem tudom hogy mi az az AoE és a DOT. Valaki nem tudja, hogy ezek a kifejezések mit takarnak? En szemely szerint leszarom, hogy hany ember irogat itt. Attol meg zuzom majd koreaba:D De persze ertem mit akartal kihozni a mondandodbol es igen igazad van. AoE=olyan skill ami területre hat. sdzal nem 1 nagyot sebez hanem több kicsit. Jajj, elnézést, azt hiszem az “írogat” szó hordoz valamilyen lekicsinylő tartalmat. Hanem, hogy még kevésbé ismert itt a játék, ezért nincs még kiadó. Nincs miert elnezest kerned. Mindenki azt ir amit akar es midenki ugy ertelmezi ahogy akarja. A tenyek meg tenyek valoban csak par ember irogat ide nincs ezzel semmi baj. Meg mindig jobb mintha ezt is ellepi a sok okos es elkezdik osztani az eszt. Bar a vege ugyis az lesz. De addig is kielvezem hogy en vagyok itt az OKOS es csak en osztom az eszt. Ezt is mindenki ertelmezze ugy ahogy jolesik neki.